Here is another great idea for an Easter eggs hunt, felted wool dreads. I've got this from Nadia (learn2felt shop on Etsy) who is passionate about felting. 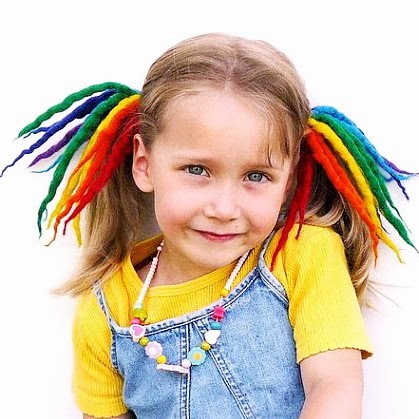 The dreads are so colorful, they remind me bright colored Easter eggs. I think the kids will love to wear these and I am sure they would love to help you with making them! 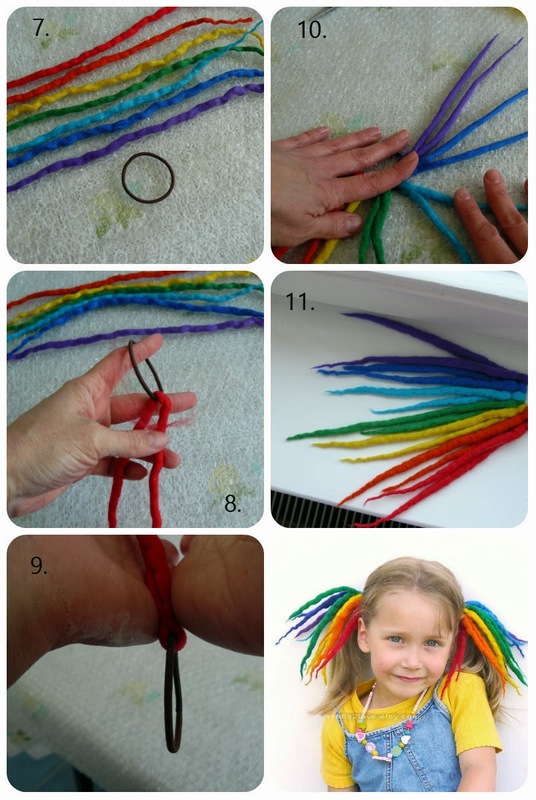 Here is how to make the Rainbow felted wool dreads - you will need wool that comes as roving (picture 1), a piece of bubble wrap and a bowl filled with soapy water. 4. Combine colors you want. 5. Wet in soapy water. 6. Roll on bubble wrap. 7. Ready with all 7 dreads. 8. Attach with wisp of wool. 10. Rub every dread on bubble wrap again. If you'd like to see the expanded version of this tutorial please visit learn2felt shop on Etsy. You might find there more great projects. Nadia's second shop is crafts2love and it is full of great items also! Thank you! I love your dreadlocks, and especially love this picture. 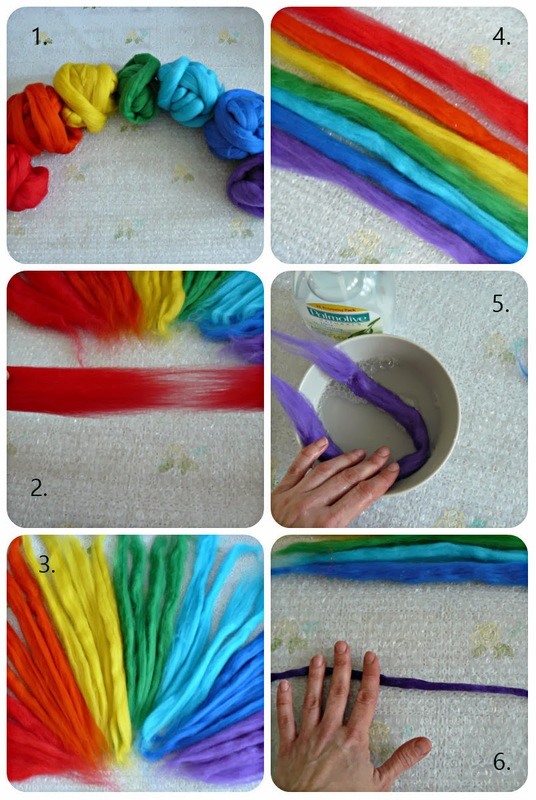 Hope my daughter will allow me to make this rainbow for her!
! Great idea to have fun with kids! So cute and such a great DIY idea! Thank you all for the comments and thanks to Tanya for publishing my tutorial!